In a bid to increase access and utilization of SRHR services, we conducted 93 HIV Counseling and Testing (HCT) outreaches where 11,648 clients (70%) female. Integrated HIV Testing Services (HTS) have also been promoted aiming at increasing service delivery to thecommunities including young people. 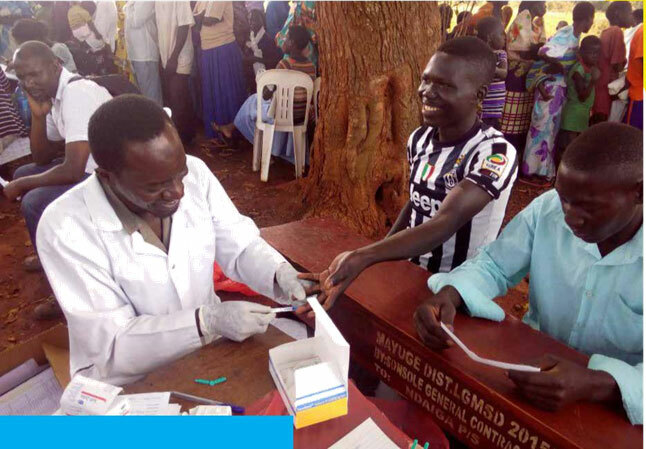 These services include HIV testing, Voluntary Medical Male Circumcision (VMMC), malaria, Antenatal Care, family planning, nutrition among others. We believe in equal service provision for the whole population including Most At Risk Populations (MARPS), young people, OVCs, Caregivers and others. Health seeking behavior among young people has been observed to be low especially for young pregnant mothers who avoid going to health facilities with fear of being judged by elders and the poor attitude among health workers. We have established seven teenage mother centers comprising 30 teenage mothers per center with the aim of providing them with safe space to access services as well as share experiences with their peers. Selected health workers have been trained in provision of youth friendly services to ensure they serve the youth in a way that encourages them to continue seeking health care. As part of influencing the health seeking behavior among young people,17 secondary schools were reached out with Behavioral Change Communications (BCC) programs for youth with participation of 3,457 youths, 29 primary schools reached with Life Skills sessions for pre-adolescents aged 9-14 with participation of 3,012 children and 167 teenage mothers.